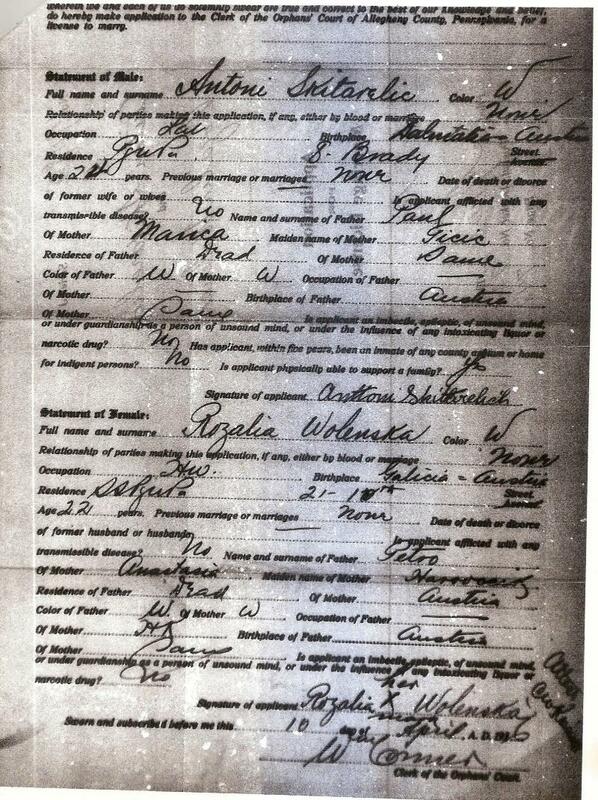 Comments: Tony & Rose Skitarelich (Nee: Wolanska) | Pittsburgh Pa United States | 1901-1920 | Comments: Marriage License of Antonio Skitarelich & Rozalia Wolanska April, 1916. Antonio (Tony) born abt. 1892 Pag, Dalmatia, Croatia Rozalia Wolanska born abt. 1898 Belichi, Ukraine, died December 23, 1953, Saginaw, Michigan.